Patients on Boston’s North Shore seeking spinal stenosis treatment will find world-class care at North Shore Medical Center (NSMC). We offer exceptional back and spine specialist physicians and we can also refer patients to specialists at other hospitals within the Partners HealthCare network, including Massachusetts General Hospital and Brigham and Women’s Hospital. Spinal stenosis is a condition where space within the spine is narrower than it should be, causing pressure on the spinal cord and/or nerve roots. Patients with spinal stenosis may experience numbness, weakness, cramping or general pain in the arms and legs. Severe spinal stenosis may result in problems with bowel and bladder function as well as foot disorders. Anesthetic injections, also called nerve blocks, near an affected nerve to help relieve pain. Physical therapy and/or exercises to strengthen abdominal and back muscles, build endurance, and stabilize the spine. Decompressive laminectomy – surgery to remove, trim or adjust diseased parts of the spine to relieve pressure on the spinal cord or nerves. X-stop surgery – a minimally invasive back pain surgery where a device is inserted into the back of the spine to keep the patient from bending too far backward at the narrow segment of the spine. To find an NSMC physician who can offer spinal stenosis treatment, patients may get a referral through their primary care physician or use the Find a Doctor search on our website. You can search by name of physician or practice, by location, gender and languages spoken. 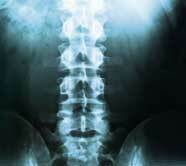 To find a specialist in spinal stenosis treatment, select “spine surgery” under specialty. You can also search for a cardiologist who can perform cardiac ablation surgery, a thoracic surgeon specializing in treatments for hyperhidrosis, or an OBGYN physician who can schedule you for tomosynthesis mammography.